Hydraulic and pneumatic. Hidraflex, we provide solutions to your needs. 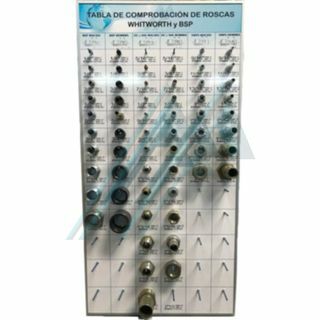 Panel for checking screw connections, whitworth, BSP, JIC and ORFS with indications of diámentro tube, bore and outside diameter of the thread and gauge.